OSHA regulates hundreds of chemicals in “Subpart Z-Toxic and Hazardous Substances,” 29 CFR 1910.1000 through 1910.1450. Understanding which if any of these chemicals may be a cause for concern at your workplace is the job for a CIH. A certified industrial hygienist can help you identify potential chemical or physical exposures, evaluate their severity and assist in controlling or eliminating the hazard. Workplace Safety & Health Co., Inc. has conducted industrial hygiene consulting at a wide variety of sites including automotive manufacturing and supply facilities, aerospace companies, high-rise commercial buildings, hospitals, surface and subsurface mines, gray iron and non-ferrous foundries, fiberglass manufacturers, rare earth metal alloy manufacturers, food and beverage processing facilities, pharmaceutical and biotechnology companies, ship-building operations and steel mills. 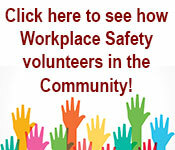 Innovation and experience set Workplace Safety & Health Co., Inc. apart from the competition. Specialized use of database programs to store and manipulate critical exposure data has been well received by many clients who want to not only receive a report but use the data to their advantage.